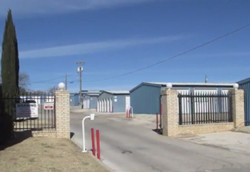 Angelo Mini Storage, Inc. has been home owned and operated since 1977. 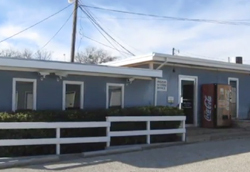 Conveniently located on Arden Road in San Angelo, Texas. There is an on-site manager for better service and better security. We do have security cameras to assist you with keeping your belongings safe. There are 47 sizes available to fit the size storage unit you need. There is 7 day access with drive-up access to all units. We have customer-friendly hours to serve you better and we also provide a Military discount available for our military personnel. Our sites are fenced, fully lighted and are security camera monitored. With 47 storage unit sizes, personal and commercial, we are able to meet your storage needs. Call us today at (325) 234-6061! Founded in 1977, Still Family Owned & Operated! 2 Locations to serve you with 1 convenient office. Call Ellie with any questions. Deposit waived with Military ID. Sat. & Sun. 10 a.m. - 3 p.m. Mention our website to us and we'll waive your deposit! Angelo Mini Storage Inc., home owned & operated since 1977. Open 7 days a week, 47 sizes, on-site manager, secure facility, security cameras, drive up access, military discount, customer friendly hours, personal storage, commercial storage. Tired of paying high prices for storage? Don't regret it. Compare our rates!